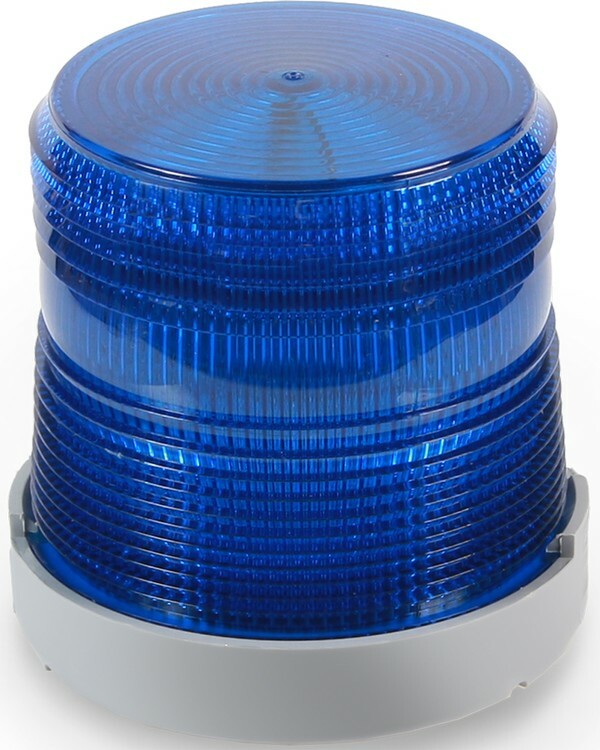 The 48XBRM Series LED Visual Indicator is a UL and cUL listed dual-mode signaling device housed in a corrosion resistant Type 4X enclosure. The 48XBRM Series XBR (XTRA-BRITETM) is suitable for indoor or outdoor installations, and can be panel or conduit mounted. The base is manufactured from a polycarbonate/ABS blend, and the lens is made of shatter resistant polycarbonate. The 48XBRM Series LED is available in AC and DC models with a gray base, and an amber, blue, green, red, or white lens. 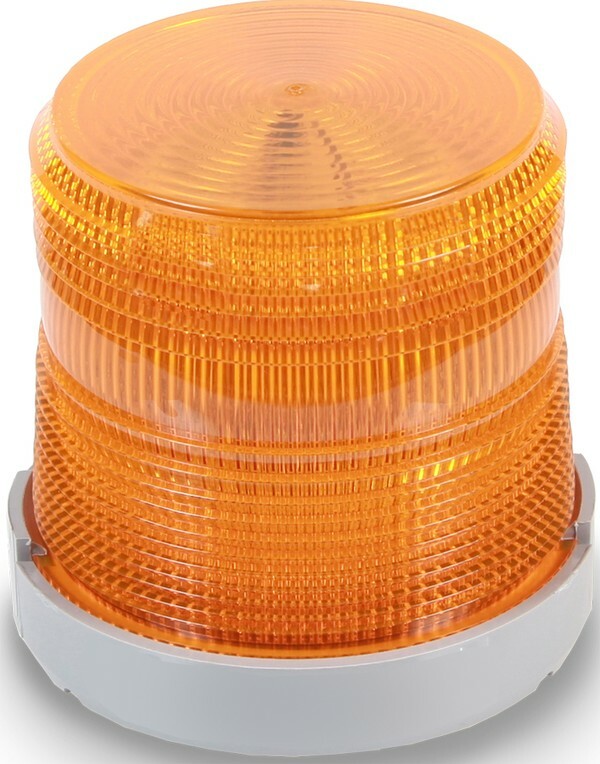 The 48XBRM Series XTRA-BRITE LED beacons are well suited for areas with high ambient noise levels, especially where ear protection must be worn. 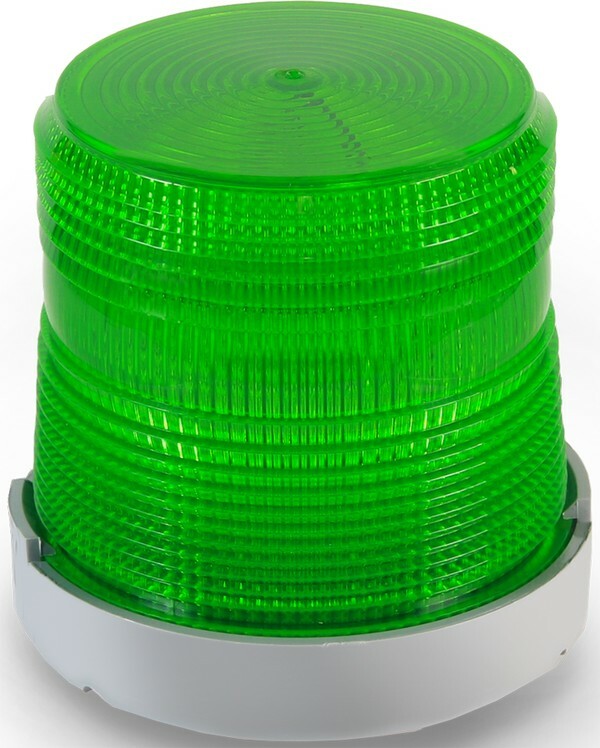 These LED beacons are "dual-mode" devices tha tship from the factory in steady-on mode and can be readily transformed by changing dipswitch setting to 65 FPM "flashing" mode. Designed for indoor or outdoor installation. May be direct or 1/2" conduit mounted. For weatherproof instalation, units must be mounted vertically with the lens facing up. Use Cat.No. GSK-KIT gasket kit for weatherproof surface installation of AC models. May be corner mounted using the Cat. No. CBR, corner mount bracket, or wall mounted using the Cat. No. WBR, wall mount bracket.